This website has been exclusively designed and maintained so Member “retired” FBI AGENTS / ANALYSTS can list and showcase their investigative/analytical skills to promote business opportunities, pursue academic advancement and/or secure continued economic success—wanting to improve, enhance, and/or promote their financial condition, educational credentials and/or personal development. For example see Profile Page at https://fbiretired.com//agent/200/. Seeking an expert—using the special skills section menu and designating a geographical location—the website enables law firms, business professionals and other interested parties to easily locate member listed “retired” FBI AGENTS / ANALYSTS. Thereafter, Members can be contacted using the information provided, including contact information, email address, business profile and picture. Experts at conducting investigations and analyzing intelligence, these “retired” FBI professionals can readily answer questions about law enforcement, in particular the Bureau, render an opinion concerning police tactics and provide testimony in a court of law if requested. Members get instantly recognizable email address, [e.g. JEHoover@FBIretired.com] that can be used in conjunction with any personal email address program, e.g. Outlook 2007/2010, Outlook for MAC, or Windows Live Mail ET AL. The email address gives Members a recognizable platform when communicating with law firms, security officials and journalists [seeking information about the FBI]—answering questions, providing commentary, and/or rendering a professional opinion. Wanting to contribute to enhancing the FBI’s image—answering questions, providing commentary, and/or rendering a professional opinion—the website enables Members to easily respond to media inquiries and/or individuals seeking information. 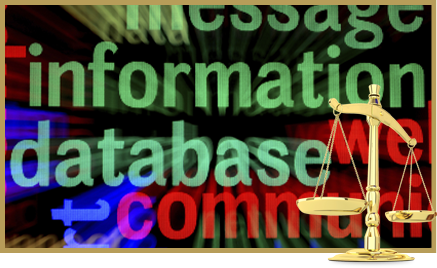 Experts at collecting and analyzing Evidence/Intelligence and Security—the website enables Members to upload both a picture and profile for careful examination by law firms, financial institutions, business specialists, security professionals, media representatives and other interested parties seeking an FBI expert because they have questions, are looking for commentary, need a professional opinion and/or desire testimony concerning law enforcement procedures. See example: https://fbiretired.com//agent/158/. Using eighty  separate skillsets, the website enables Members to identify and list skills as evidenced by past law enforcement training, FBI career and/or current position which can be readily examined by individuals looking for an expert. Members include licensed private investigators, polygraph examiners, security consultants and other law enforcement and national security professionals with backgrounds and credentials concerning FBI undercover operations, Violent Crime and Organized Crime, Narcotics, Corruption, Intelligence and Electronic Surveillance, White Collar Crime, Behavioral and Laboratory Sciences, CyberCrime, Firearms, Terrorism and National Security. See example: https://fbiretired.com//agent/187/.